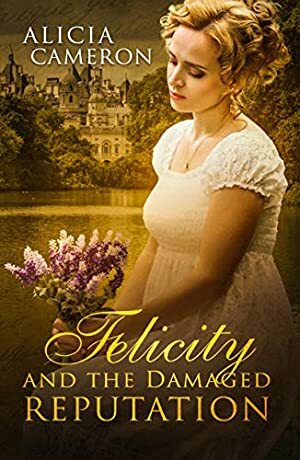 In this sparkling Regency romance, we follow the suddenly-poor relation, Felicity as she meets an unforgettable set of characters. Just when her good fortune seems assured, due to the kind acts of Lady Aurora and Mr Wilbert Fenton, an earlier adventure with the Viscount of Durant is given an evil twist by his cousin and her reputation is damaged. Even Felicity's indomitable spirit of cheerfulness and kindness is almost overset, but her new friends have plans to save her. The Viscount is at a loss to help her, being recently engaged to his dear friend Anne Clarence. But he falls under the spell of Felicity's bravery and kindness, and a tangle of feelings occurs that it seems impossible to resolve... Revisiting some favourite characters from Honoria and the Family Obligation, by public demand! Log In to track Alicia Cameron on eReaderIQ. to be notified each time the price drops on any book by Alicia Cameron. to stop tracking Alicia Cameron. The price of this book has changed 7 times in the past 224 days. The current price of this book is £2.30 last checked 8 hours ago. The highest price to date was £2.30 last reached on February 15, 2019. This book has been £2.30 3 times since we started tracking it. We last verified the price of this book about 8 hours ago. At that time, the price was £2.30. This price is subject to change. The price displayed on the Amazon.co.uk website at the time of purchase is the price you will pay for this book. Please confirm the price before making any purchases.